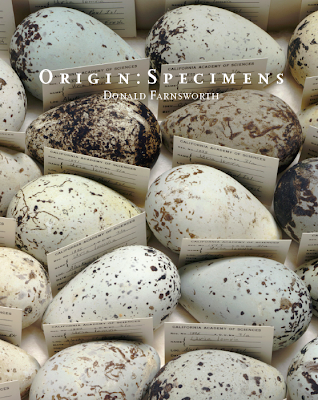 To correspond with Donald Farnsworth's upcoming show at the Nevada Museum of Art, Magnolia Editions has re-designed and published a new and improved catalog of his Origin: Specimens series. Handsomely printed by Solstice Press, the 74 pp. book includes images of the entire Origin series and essays by Farnsworth and Nick Stone. 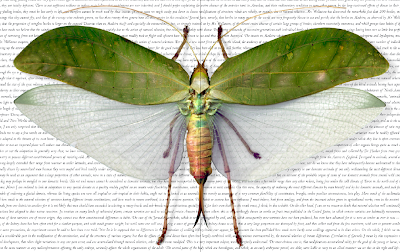 Each print in Farnsworth's Origin: Specimens series combines a chapter from Charles Darwin's seminal On the Origin of Species with a digitally imaged, hyper-realistic rendering of an animal, bird, or insect specimen. Regardless of our religious beliefs, we all inhabit a world where most of the images we encounter on a daily basis are designed by corporations to sell us something. 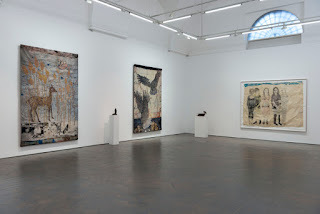 The art world is not immune to the rise of the corporate state: even in the day-to-day operation of Magnolia Editions, I and my staff interact with corporations operating within a value system which assumes an audience of myopic, conformist viewers. Ultimately, my goal with this series is to create images divorced from this commercial context, which instead emphasize observation, literacy, and aesthetics. Please contact Magnolia Editions or the Nevada Museum of Art for pricing and availability. 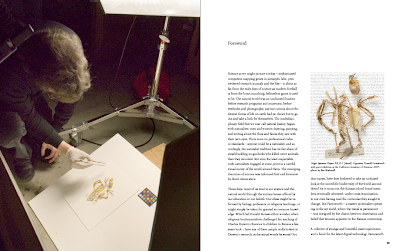 The Origin: Specimens series will be exhibited from April 30 - August 28, 2011 in the Nevada Museum of Art's Feature Gallery North.